This mixtape first came out in 2014 but it’s recently been reissued with three additional songs, and added to streaming sites for the first time. The collections is an intriguing mix of rap, jungle, folk and r&b. Anomaly, one of the new tunes sounds like Massive Attack, Earth is a Playground is disappointing pop drivel, but Versace Hottie is smokin’. This collection is far more interesting that her ‘official album’ that came out in 2017. 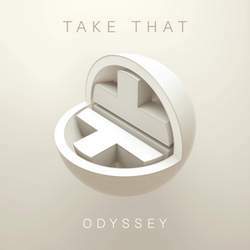 Take That, who are now a trio, revisit their almost three decades of hits by bringing in producer Stuart Price (Madonna, Kylie, Pet Shop Boys) to rearrange, remix and revive their biggest songs. There Australian tour in 2017 showed they are still an amazing live act. Most of the tunes are subtly updated, but others such as Everything Changes are dramatically transformed, in the case of that song a brass band is brought in. Other highlights include the new version of Relight My Fire and the incredibly catchy These Days. Nadeydey – Speed Dial heavy doses of jazz and funk in this debut single from London based guitarist Shirley Tetteh Charlotte Adigery – Petitipat hypnotic french tune filled with percussion and mesmerising vocals Charlotte Gainsbourg – Bombs Away super smooth disco Roisin Murphy – The Rumble everything she makes is pure magic Yin Yin – Dis kô Dis kô the bassline from I Feel Love mixed with some sampled south east asia guitar taken off some rare record from the 70s. It’s a dance floor beauty KOKOKO! – Affair A Mbongo some delicious world music Sam Bluer – Bite My Tongue summer sounds Chromatics – I’m on Fire it was always Bruce Springsteen’s catchiest tune, presented here as a chilled and mellow slice of pop Unloved – Love tinged with 60’s vibes this beat filled with chant is calling out for a go-go dancer Linn da Quebrada, Boss in Drama and Badsista – mEnorme brilliant Brazilian r&b Massive Attack – Teardrop (Mazaruni Dub One) unreleased for over two decades, it’s as fresh as can be Chaka Khan – Hello Happiness so much style and that amazing voice Aaron Porter – Boy fabulously queer Toy – You Make Me Forget Myself sweet slumber inducing psychedelic indie joy. 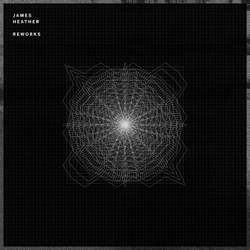 Neo-classical artist James Heather presents remixes of some of his previous work and new string quartet versions of his tunes. Echo Collective create an ominous version of Ruqia, DJ Steinfeld transforms MHope into a lush electronic ambient soundscape, while Mary Lattimore’s harp filled rendition of And She Came Home is fine and folky. The two string quartet reworkings give Heather’s work more depth, while retaining their stark beauty. Listen alongside the original versions, which are strikingly beautiful. 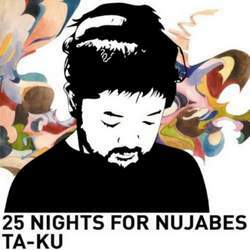 Following on from his tribute project to producer J Dilla, Australia’s Ta-ku pays homage to the late Japanese producer Nujabes by creating 25 different beat based tracks. Infused with tinkered pianos, slick beats, and elements of jazz these instrumental tunes create almost every desired atmosphere from sultry and moody to uplifting through to mellow chillout vibes. Maybe this isn’t an album to listen to from start to finish, but mix it in among your favourite hip hop, trip hop and jazz sounds. Fifty years ago in January 1969 Barry Ryan was at the top of the charts with his song Eloise, it would also be a hit for The Damned in the 80s. In was in 1979 that we first raised our arms for the Village People’s Y.M.C.A. In 1989 we chanted about Aruba, Jamaica, Bermuda and the Bahamas, Key Largo and Montego when singing along to the Beach Boys Kokomo. In 1999 all the girls said He’s Pretty Fly for a White Guy. This month marks a solid decade since Lady Gaga topped the charts with Poker Face. If you love Moby’s ambient work, Johan Johansson, or Olafur Arnalds, this is an album your embrace and cherish. Filled with glistening soundscapes, lush strings and muted guitar twang, it’s incredibly beautiful. 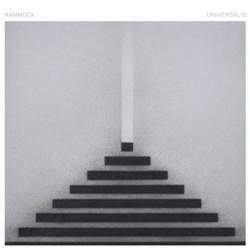 The band is from Nashville, Tennessee and there’s a definite country line weaved through their work, but overwhelming this ambient album is one to close your eyes and drift off into a meditative state. Faultless, every tracks is gorgeous. Amazing mix collection from London based DJ and radio presenter. It kicks off with a couple of ambient tracks before the electronic beats come in and take you on a trip to clubland. Travelling through acid sounds, glitchy techno, Mumdance managed to work in 32 tracks in an hour and a half with the pace constantly shifting and adjusting, his cover of Daft Punk’s Teachers also appears. Put this one, plug in your headphones and go on an amazing sonic journey.